My Moleskine is ready. I am ready. I want to hide these words in my heart, and chew them, and be transformed by them, and be mastered by them. Are you planning on joining us? May I suggest you two things to help you be ready -besides having your PDF files printed and ready to go; having a Bible commentary ready, and a journal to copy the Epistle-? 1. Read Titus from beginning to end once this week -in one sitting- and once next week (Our project officially starts on the Lord's Day February 5). "The theme of Titus is the inseparable link between faith and practice, belief and behavior." Titus had a compassionate heart and was willing to serve the Church. 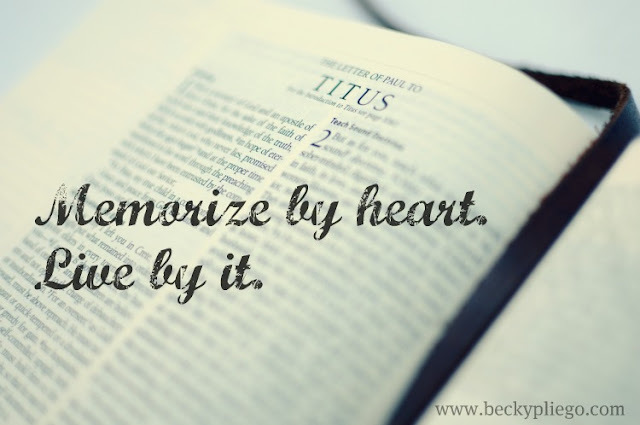 I can't but smile at these words after considering certain words of phrases that we have dismissed from our vocabulary: "thanks be to God, who put into the heart of Titus." He who would interpret Scripture aright, therefore, must be a man of reverent, humble, prayerful, teachable and obedient spirit; otherwise, however tightly his mind may be 'stuffed with notions', he will never reach any understanding of spiritual realities"
Now is your turn; search the Scriptures and find more about Titus and his partnership with Paul. Coffee is awaiting as well as a day with 24 hours to do what God has prepared for me to do. Have a most blessed day, my friends!